SKU: sjs21. Category: Canvas Print. This intensely compelling painting reminds us that Australia has an ancient history of Traditional custodians of the land. I painted it in honour of the many traditional owners of this diverse Australian continent. 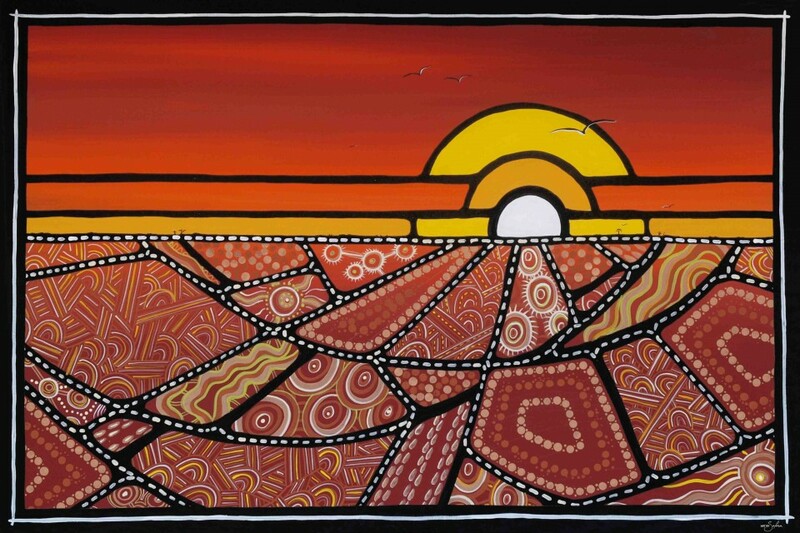 In this piece I love the patchwork effect, the mix of Aboriginal designs across the landscape. This patch working seeks to describe the various boundaries and resources that contribute to the Aboriginal and Torres Strait people’s heritage, cultural practices and knowing. This heritage is woven into and onto the land.